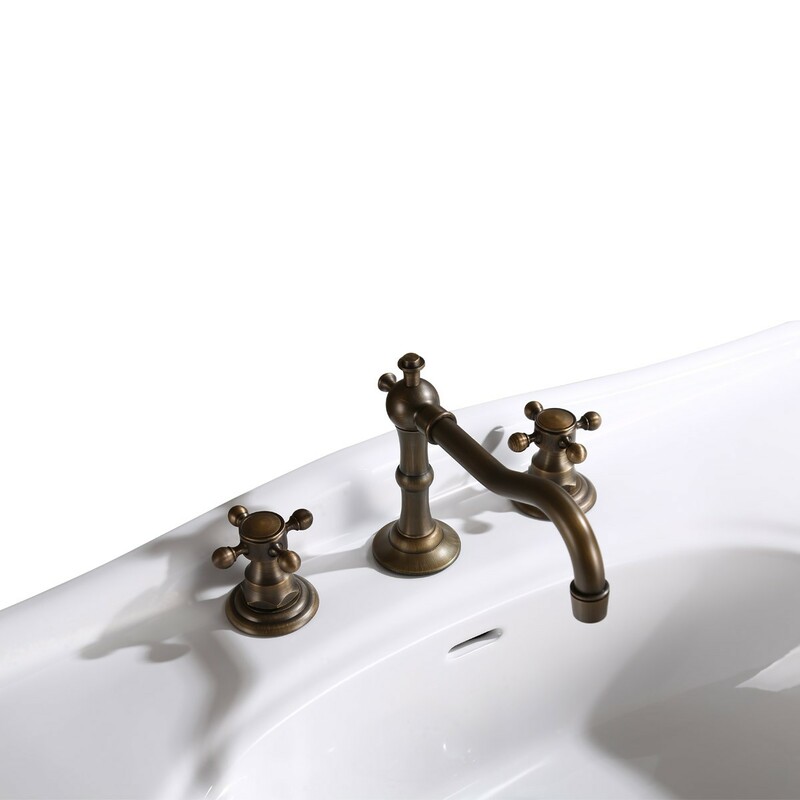 This Renovator's Supply deluxe console sink brings a sense of luxury and authenticity to your bathroom while remaining practical and durable. 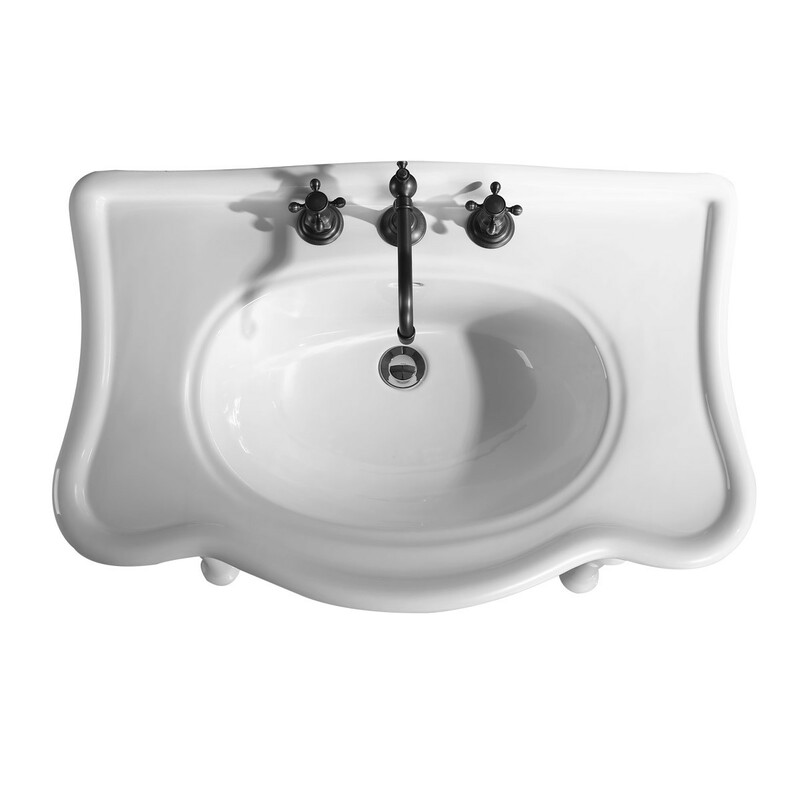 Made of Grade A Vitreous China, the sink features a Reno-Gloss scratch and stain resistant finish on its wide ledge and a protective splashguard rim. 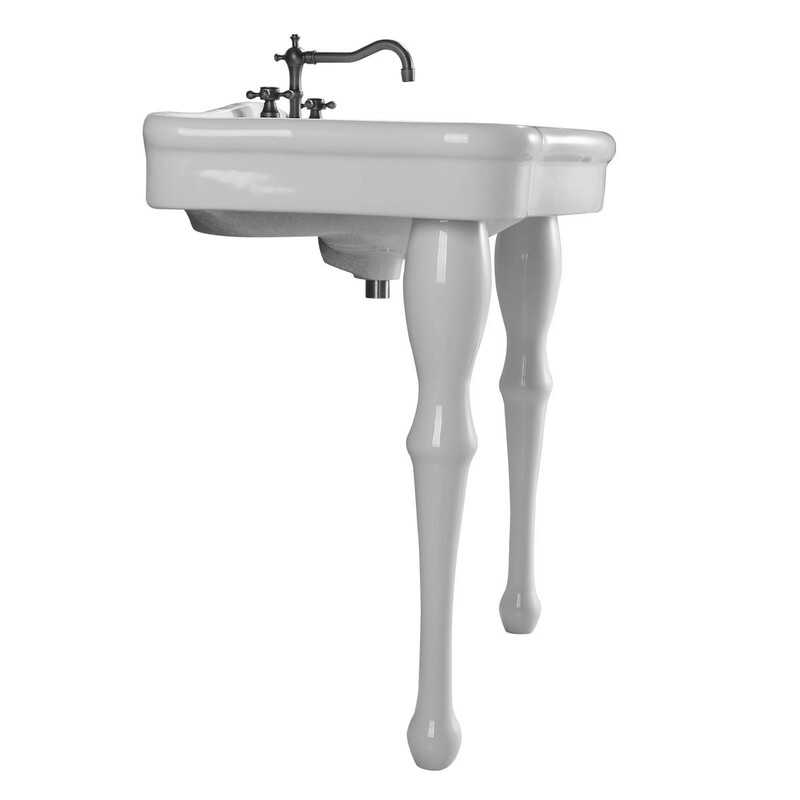 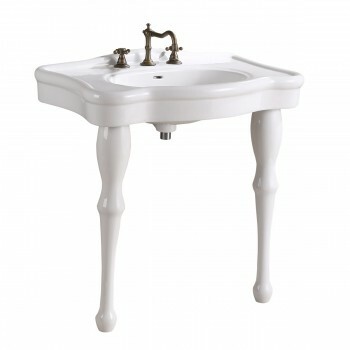 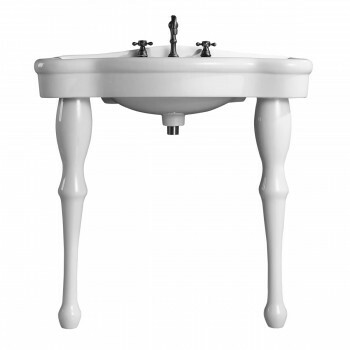 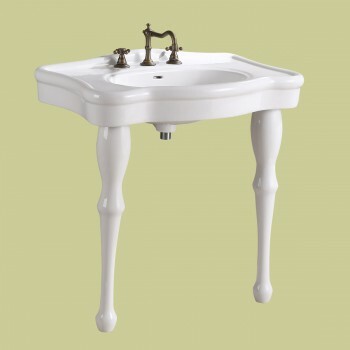 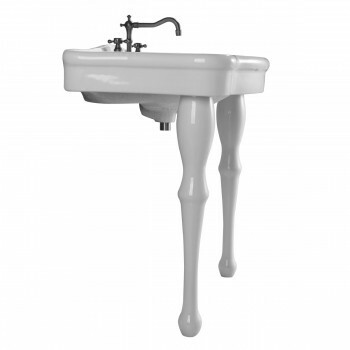 This listing comes with two elegant spindle legs constructed from strong porcelain. It uses an 8" widespread faucet (NOT INCLUDED). 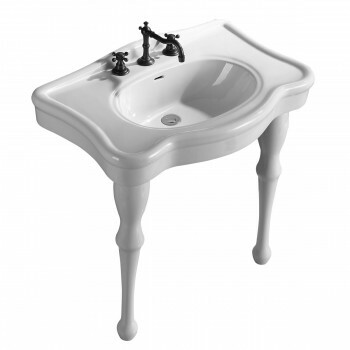 Ergonomic height reduces daily strain.